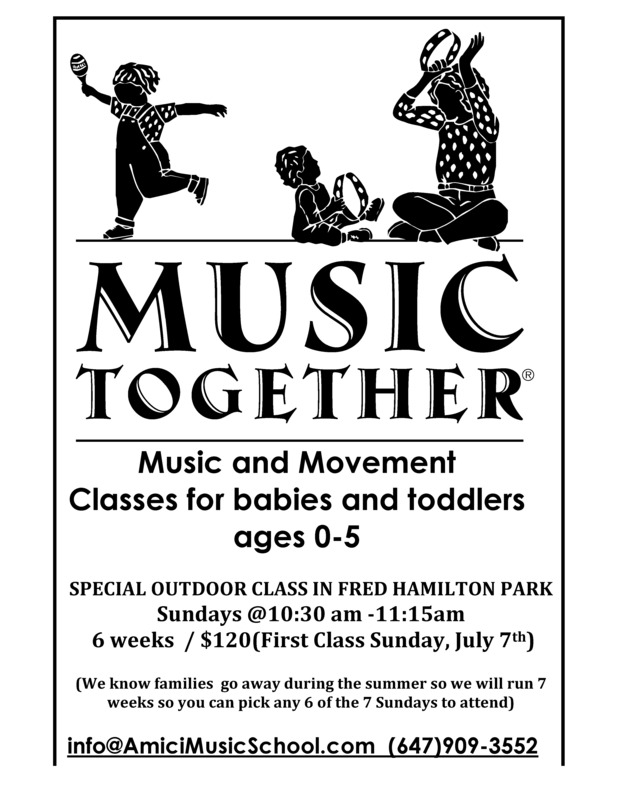 This summer AMICI SCHOOL OF MUSIC is offering a special OUTDOOR Music Together® class for ages 0-5 and their families in FRED HAMILTON PARK! This fabulous class is fun, relaxed and educational. Classes include circle games, parachutes, singing, and instrument jam sessions. It is also a great way to meet other families in the neighbourhood and is lead by two fabulous singers with great voices. Hope you will join us in the park on Sunday mornings for music together! ← Help green your local parks and meet some of your neighbours! If there are any Friends of Roxton Road Parks who are looking for more things for their kids to do this summer…. Toronto Trekkers begins and ends each day at Christie Pits and during the day we travel to different parks, green and community spaces in the neighbourhood and beyond for a wide variety of fun activities! Thanks for the tip Simon!